We’re used to seeing Kanye West sitting in the front row at fashion shows, but on Saturday, he was backstage. The rapper-turned-designer payed homage to his mother, the late Donda West, with the debut of “Dw by Kanye West,” his first womenswear collection during Paris Fashion Week. Congrats KanYeezy! Pop the hood to feast your eyes on Kanye’s spring/summer 2012 collection. 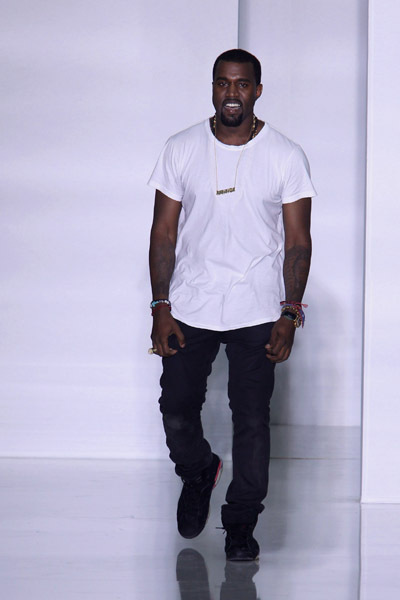 This entry was posted in Entertainment News and tagged celebrity fashion lines, Donda West, DW by Kanye West, Fashion Line, Kanye West, Paris Fashion Week, photos. Bookmark the permalink.